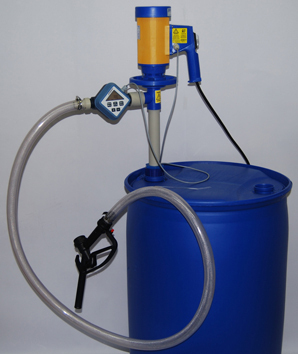 Chemical drum pump is designed to handle a variety of dangerous vicious products, flammable liquids and corrosive chemicals from fifty-five-gallon drums to IBCs (intermediate bulk containers). According to the U.S. BEA (Bureau of Economic Analysis), there is an approximate worth of $350 million to the value added by the chemical industry in the United States. As far as International output is concerned, the amount that is contributed by the U.S. is $770 billion and it is the largest international producer. With the use of the local drum pumps, the transfer if these corrosive and dangerous chemicals from a fifty-five-gallon drum is much easier. Most of the products that are transferred internationally with the use of drum pumps are dangerous and handling them must be done with extreme precautions. Sulfuric Acid — Dehydration, chemical burns and permanent blindness can be caused by sulfuric acid. This chemical is capable of corroding not only the skin but also metals, stones and other surfaces. Hydrochloric Acid — Hydrochloric acid is corrosive to the skin, mucous membranes and the eyes. Direct contact, as well as inhalation of this chemical, could result in chest pain, excessive coughing, hoarseness, pulmonary oedema, inflammation as well as ulceration of the respiratory tract. Nitric Acid — This chemical is highly corrosive to the eyes, the skin and the mucous membranes. Mild contact with this chemical can cause the skin to become mildly irritated and the epidermis to harden. If there is direct contact with nitric acid that is concentrated, the skin will become stained with a yellow colour and there will be permanent damage dir to deep burns. If a human were to inhale this corrosive chemical, it can be fatal. Acetic Acid — Although basically harmless when diluted, ingesting stronger solutions that are over 25% of acetic acid is not only dangerous to human life, but also to animals. The liquid chemical of acetic acid is highly corrosive to the skin and eyes. Aqueous Ammonia — If impropèrly released from an industrial plant, this explosive chemical compound can cause harm to the environment. Due to the fact that this chemical is corrosive, contact to the skin, mouth, eyes, respiratory tract and digestive tract can cause damage which includes serious burns, lung disease, blindness and even death. Due to the fact that these chemicals that are dangerous as well as many more materials that are corrosive and non-corrosive and are being transferred in chemical drum pumps, the personal safety element in each and every operation are highly important. After each operation, all the equipment must be thoroughly cleaned and proper safety regulations and precautions must be followed by all operators.